Jama Michalika is hard to beat for history and atmosphere, although the dining experience can leave a lot to be desired. Drop in for a drink and a peak instead. The venue itself is historic and hugely atmospheric. 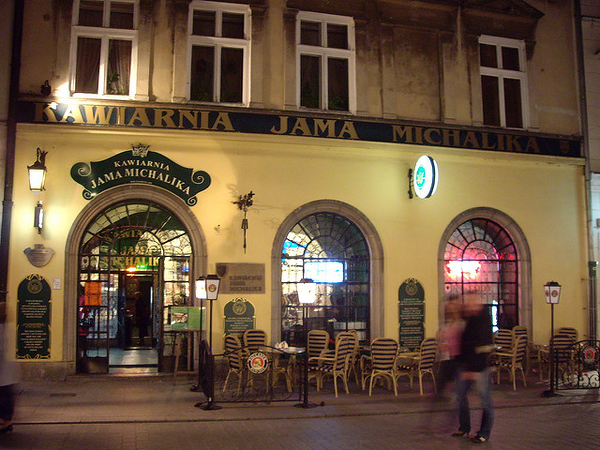 Jama Michalika is as much a living museum as Polish restaurant. The menu is extensive and features the full traditional list of pierogi and meat dishes. However, both quality and service are very hit and miss, and you may find yourself called on to take part in the floorshow if you eat here in the evening. Drop in for a drink at the bar and take a sneak peak at the fabulous interior instead.